Obstructive sleep apnea (OSA) is a condition in which the tongue blocks the airway while a person sleeps. In rare cases, this can be life-threatening, but most commonly, it leads to a terrible lack of sleep, leaving those affected by it very tired. Approximately 22 million Americans suffer from it, but only about 10% of those affected by OSA ever seek treatment. Given these statistics, with a population of around 30,000, we can estimate that Helena has more than 4,000 residents affected by OSA and more than 3,600 residents who have not been properly diagnosed. Montana Roots Dental Care is one of the few dental offices in Helena that offers dental sleep apnea devices and other night guards to treat most individuals affected by OSA. If you have been diagnosed, give us a call to schedule a free consultation and see if one of these devices is right for you. Suddenly waking up in the night with difficulty breathing. You will need to make an appointment with your physician to be officially diagnosed with OSA. How do I know if I qualify for a dental sleep apnea device? You need to be diagnosed and be prescribed for one of the devices by your medical physician. We can implement the device, but we are not able to diagnose you. The cost changes depending on what type is used, but the devices average between $1,800 and $2,000. Depending on your insurance company, the device can potentially be covered by your medical insurance. Will the device stop my snoring? If your snoring is linked to your sleep apnea, then the device may possibly stop the snoring you experience at night. 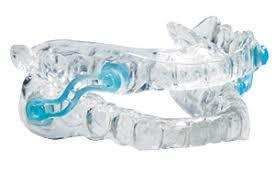 However, simply targeting the snoring issue may not cure the sleep apnea, which is the main objective of the device.